An ancient sanctuary that has long been a holy site for the Chaldean Christian Church. Celebrated as a center of civilization, the remains of the ancient city have been nearly destroyed by greed, egoism, and war. A 2200 year old vessel may have been able to keep a charge. 9th century Abbasid mosque, damaged in modern warfare. Rabban Mar Hormizd founded the monastery named after him in 640 CE. 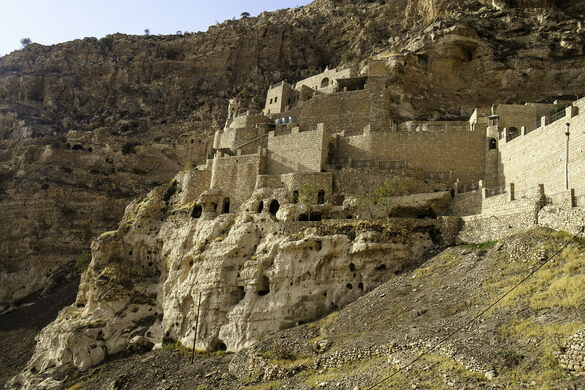 Centuries later, it became one of the holiest sites for Chaldean Catholics. From then until the reunion of the Chaldean Catholic Church and the Holy See of Rome in the 19th century, Hormizd Monastery served as the residence of the patriarchs of this denomination. Though an important religious site, it soon fell into decline. The old sanctuary still remains an important, historic site for Chaldean Catholic worship. 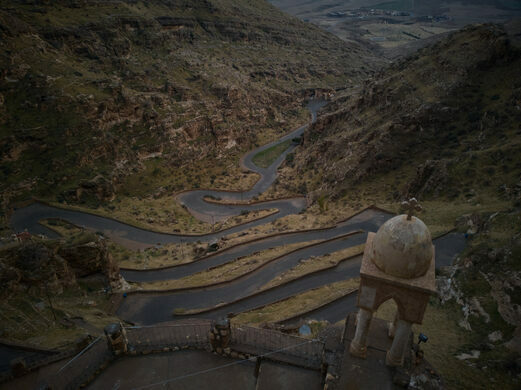 However, its proximity to Mosul and the political upheaval that the region has experienced in the past decade have created an unstable environment in which the future of the monastery is by no means certain. The sacred shrine of the Yazidis, an obscure ancient Mesopotamian religion that's been persecuted for centuries. The surviving pieces of an ancient aqueduct that may have fed into the lost Hanging Gardens of Babylon. This beautiful arched gate is all that remains of the fortress the ancient mountaintop town of Amadiya once was. This ancient stone bridge is a hub for daredevils. This ancient town is full of stunning Ottoman architecture and streets so narrow trash collection is done by donkey.